Colorado U.S. 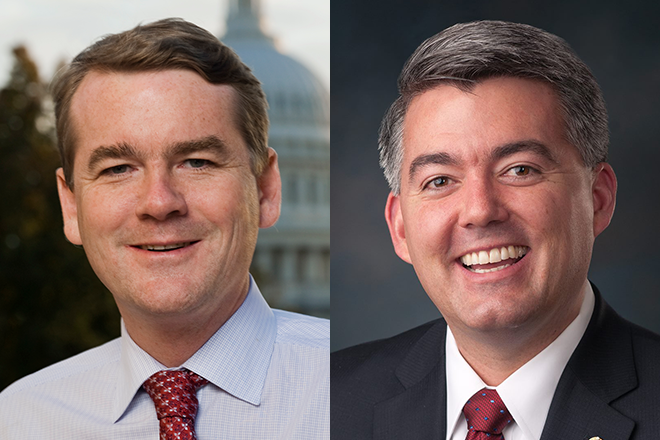 Senators Michael Bennet (D) and Cory Gardner (R), along with a bipartisan group of nearly 40 senators, today sent a letter to Federal Communications Commission (FCC) officials urging them to affirm their commitment to provide affordable and reliable broadband for consumers in the hardest to reach communities across rural America. "In every county across our state--especially in rural areas--Coloradans tell me how critical high-speed, affordable broadband is to succeeding in the 21st century economy," Bennet said. "We hope the FCC will address the issues that many of our innovative, forward-thinking rural leaders face so they can continue to deliver reliable internet access to their communities."